What are the Best A&E Bird Cages? Today we’re going to review the best A&E Bird Cages and A&E Cage Company accessories available. 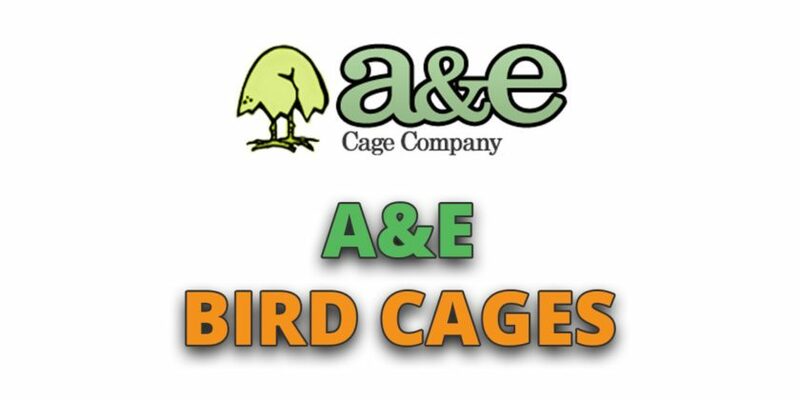 A&E make high end bird cages, offering some of the biggest sized bird cages on the market and they’re a family owned business with over 30 years of experience in the industry. For each of the cages and aviaries reviewed, we looked at the quality of the materials use, the design, the price, the ease of setup and the furnishings on the inside of the cage. Whilst more expensive, when compared to the quality of the average bird cage, A&E cages were far superior. Their cages are built using either wrought iron or stainless steel and they use a powder coated paint that has been certified to be bird safe by a vet. In addition, they have range of play tops and bird toys, some of which use Java Wood, a sustainably manufactured North American tree. What are the common features of A&E Bird Cages? What factors to consider when buying an A&E bird cage? All of the cages are created using wrought iron, on top of which is a layered a powder coated finish. This is bird safe and has been certified by a vet. Each cage comes with the option of using stainless steel instead of iron. Most of the cage come with at a minimum 2 perches for your bird to sit on. At least 2 swing out doors are present on each cage for the feeding and watering trays. All of the bottom trays are easy to clean as they are removable. The wire mesh between the bars is typically made from steel. The bird cages are delivered straight to your home so you can order them online and there is no need to pick them up. With 30 years in the pet industry, the family run A&E cage company has a well earned reputable of providing some of the best premium cages on offer. This quality standard remains consistent across their range of bird cages. Because the design and build quality for A&E cages so high, the price is also higher. A smaller sized A&E cage will start out at around $200 whereas a medium sized cage is likely to cost you about $300. The much larger bird cages will cost anywhere from $500 to $800. If you’re considering a super sized outdoor or walk in aviary then you can expect to pay $1300 or more. A&E only create their cages from materials that are bird safe, providing you with 2 options: a standard wrought iron design or using stainless steel. Wrought iron is fine for most users but if you pay a premium, you’ll get a stainless steel design which is more rust resistant. However, both cages come with a strong layer of spray on, powder-coated paint that is non-toxic. The typical size of the A&E cage range is aimed at medium to large sized birds, so this includes African Greys, Cockatoos and Macaws. However, some of the cages will also work well with smaller sized birds such as cockatiels, budgies and finches but you’ll need to check the bar spacing. At a maximum you’ll want the bar spacing for the birds such as cockatiels and conures to be 3/4″ whereas for smaller birds such as budgies, canaries and finches the maximum should be 1/2″. Because most A and E cages are so big, during the initial setup some user’s have reported having issues initially installing their cages. However, this is to be expected when setting up a large cage and is common across all brands. Fortunately, you’ll only have to do this once and then your cage will be good for it’s life. Once setup, you’ll find that the cages are easy to use and are well designed. Most have easy access, swing out doors for the bird feeders/watering stations. Plus a lot of them have removable trays on their floors for removing any bird waste. A wipe down of the bars with any bird safe cleaning product will work with most of these cages. Attractive, well built and long lasting (available in a range of colors). Well designed locks to prevent parrots from escaping. Enough space for large parrots to stretch and flap their wings. The best dome top bird cage available that’s in the premium range. Bar spacing small enough for smaller sized birds. Roomy shelf for extra storage options. Comes with a number of internal furnishings. Some user’s report the color finishes do not match up exactly to the desriptions. A good bird cage if you have smaller birds and want something with storage space. Huge and will be able to hold any sized pet birds. Corner shaped design means that even though it’s huge it’ll fit in the corner of a room. Top-notch materials create a sturdy build quality. 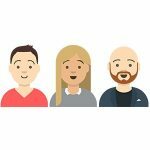 Some user’s have reported shipping problems, however the customer service usually fixes these issues for free. An almost perfect indoor bird cage if you have the space for it. Check out this guide if you want more information on the different types of corner bird cages. Spacious and aimed at smaller birds to provide them with plenty of space. Plenty of furnishings: perches, feeding doors and a removable tray. Lots more room for additional accessories as well. Trays may need to be secured in place if your birds keep removing them. Great if you want to provide medium and smaller sized birds with plenty of flight space. Enormous – so big you can walk inside of it. Very sturdy and tough, this aviary is built to last. Will make your birds very happy! Doesn’t come with a floor (although this could be see as an advantage). If you really want to treat your birds then this is the cage/aviary to get. A and E have a premium price tab because they are a top rated product and so for some people this may be out of their price range. Instead they might try to buy a used A&E bird cage, which seems like a good idea initially but you have to be extra careful with this approach. You’ll need to inspect each secondhand cage thoroughly for any defects, cracks, rust or breaks which isn’t an issue with new cages. You’ll also need to check that the previous owner hasn’t sprayed on any new paints or cleaning chemicals which they themselves may not even know is toxic for their birds. Ask the previous owner what the history of the bird cage is and what happened to the previous birds – in case they got sick and disease is present in the cage. If you do end up buying the cage and anything breaks, then unlike a new cage, you’re not going to have a warranty so there won’t be any free replacements parts from A&E. Overall this is why we recommend buying new instead of a used A&E cage but if you are insistent on this then the best places to start your search include Craigslist, Gumtree and Ebay. For more information on buying a used bird cage, see our guide here. A&E also provide a number of bird cage accessories and replacement parts for their cages. This perch from A&E comes with a nest and solid wooden base and is aimed at smaller sized bird. It’s made from sustainably grown, North American Java wood which is bird safe. You can find it here. Made from the same materials as the table top perch listed above. This perch is available in a range of sizes for the different sized birds that you may own. It’s very natural looking and looks far superior to the standard plastic perch that is sold. Available here. If you’re looking for a simple solution to keep your birds entertained this playtop will do the job. Includes a perch, ladder and swing – it can be found here. Available here in 6 inch and 5 inch sizes. These bowls are the replacement parts needed if your previous A&E feeding/watering trays go missing or get damaged.